Advice and options for those who wish to optimize innovation-driven entrepreneurship in their specific regions, and who seek to build a vibrant innovation ecosystem in their locality. 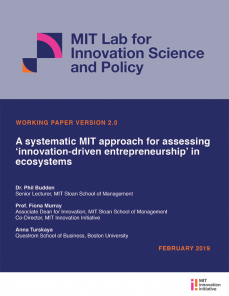 Draws upon MIT’s approach to innovation, entrepreneurship, and the powerful combination of ‘innovation-driven entrepreneurship’ to suggest a method to capture a set of globally-available metrics to assess these and the ecosystems in which they flourish. ‘Innovation’ is much sought after but not often well understood. For policy-makers, it can be challenging to analyze and help create the conditions for innovation. 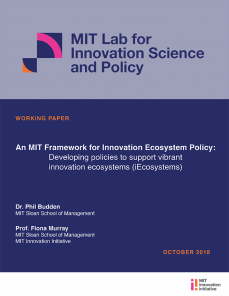 Understanding the phenomenon of ‘innovation’ (and particularly the complex ecosystems in which it seems to thrive) would enable a more systematic assessment of the policy options available. 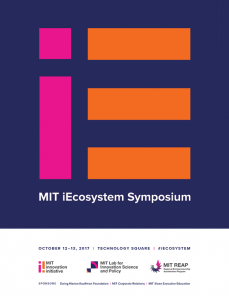 A two-day symposium that brought together a global community of practitioners with thought leaders and scholars to explore the implementation of novel models, programs and initiatives that enhance economic growth and social progress in innovation ecosystems. 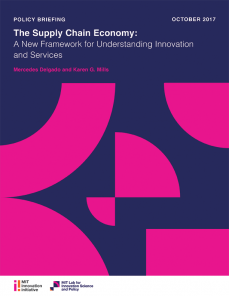 An alternative framework that focuses on the suppliers of goods and services to businesses and the government: the “supply chain economy.” Our research shows that by categorizing the economy into Supply Chain versus Business-to-Consumer industries, a different picture emerges. 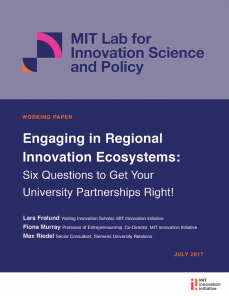 Engaging in Regional Innovation Ecosystems: Six Questions to Get Your University Partnerships Right! 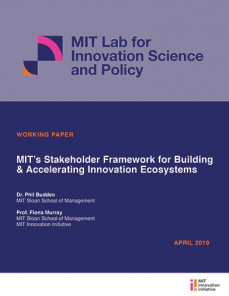 By working through six fundamental questions, corporations can develop a more effective approach to their interaction with a range of universities, thus delivering more value for both parties and setting the stage for more effective ecosystem engagement.